Matt Lau served in the U.S. Air Force for more than 20 years before returning home and setting his sights on business ownership. 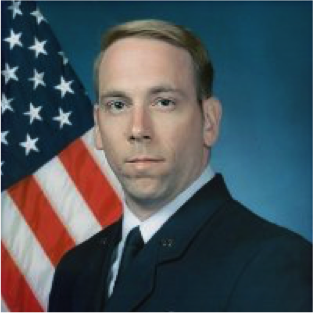 After serving as a medical logistics flight chief and biomedical equipment engineer for the Air Force, Matt was looking for business opportunities where he could utilize his technical skills. He was attracted to the franchise model, since he was used to following a set of systems and procedures in the military and understood those benefits from a business standpoint. He researched many different concepts before deciding Dental Fix Rx was the perfect fit – with solid training and support systems to set up franchisees for success. Matt now also works for the corporate team at Dental Fix Rx, as the Director of Training. Q: After becoming a franchisee, what was the biggest change in your daily life that you had to get used to? Matt: Obviously, transitioning from the Air Force back to civilian life was difficult at times. This is something you see in every branch of the military – people deciding to leave the military and not really knowing what they want to do back home. It can be hard to go from such routine, structured days to trying to find meaningful, satisfying work elsewhere. I knew I wanted to pursue business ownership, and that the franchise model would suit me best, so I was happy when I came across the Dental Fix Rx opportunity. The biggest adjustment was just getting into a different routine, which started with the weeks of Dental Fix Rx training and now just entails my regular workdays. Q: What skills came in handy as a Dental Fix franchisee? Matt: The opportunity initially appealed to me because I wanted something a bit more technical, and I was especially drawn to opportunities with an owner-operator model. My technical skills and ability to succeed at hands-on work came in handy, but I noticed pretty early on that having that background isn’t imperative as a franchisee. There is one month of pre-training where you get a general overview of the dental industry, as well as just general guidance on how to set up your business. Then, there are three weeks of hands-on classroom training that, I think, is especially useful to people with minimal technical experience. It’s not theoretical – franchisees are given real-life, standard scenarios with real equipment and are taught how to make repairs on them. Q: What similarities have you encountered among your previous career and being a Dental Fix Rx franchisee? Matt: You wouldn’t think there would be many similarities between the military and the dental repair industry. But, within the franchise model, there are a lot of similarities between the structure of a franchise system and the hierarchy I saw in the Air Force. It is really beneficial to have that transparent, clear-cut structure that holds you accountable and gives you freedom to run your business how you want, while also having more experienced people in the business to look up to and go to for advice.